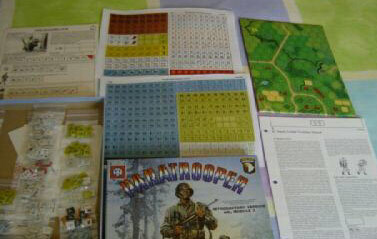 Paratrooper is unusual in that it is not really a true ASL “core” module, containing no counters that cannot be found elsewhere in the system, nor a complete nationality (though it does contain a new map and a rulebook chapter). 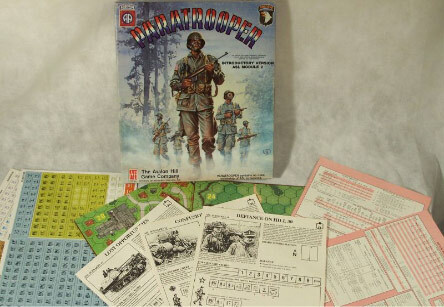 It was designed as a comparatively inexpensive alternative to Beyond Valor as a way to start playing ASL, especially for people who already owned Squad Leader. 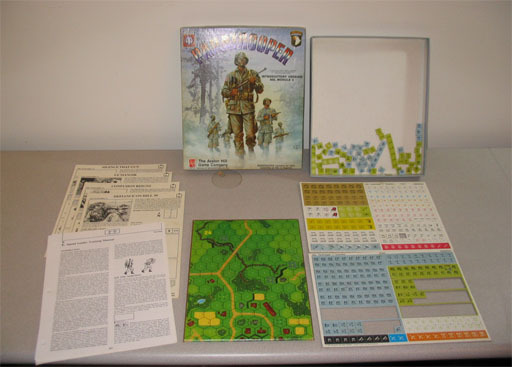 With that in mind, it contains “Chapter K,” a rules section designed to help teach people the basics of ASL rules (the merits of this chapter, or lack thereof, have been much debated over the years). 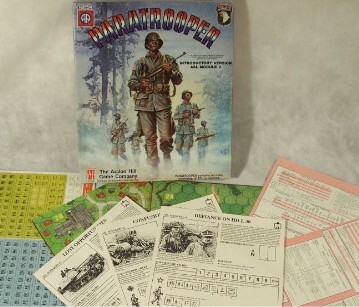 Like 1st Edition Beyond Valor, 1st Edition Paratrooper assumed players had access to the Squad Leader series of games, and some of the scenarios in it require mapboards from Squad Leader (2nd Edition Paratrooper does include two Squad Leader maps). 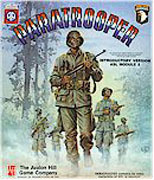 Like Beyond Valor, many of the scenarios in Paratrooper are longer and larger than is typical today; however, a number of them have a good reputation. 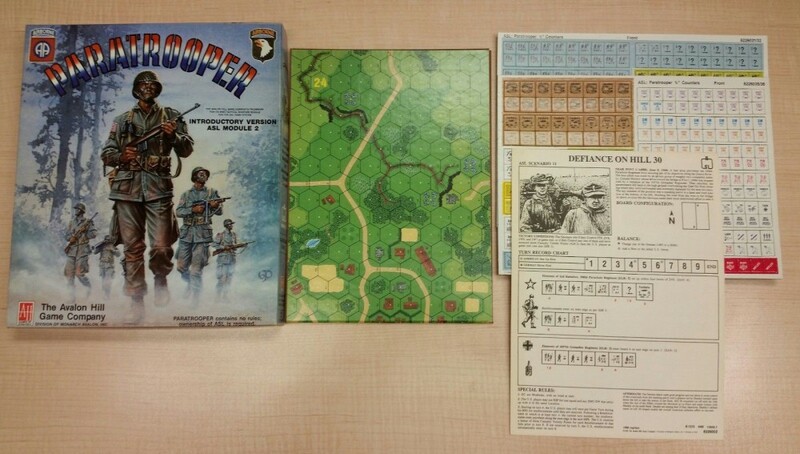 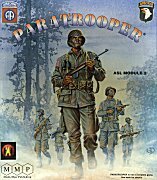 MMP printed a 2nd edition of Paratrooper which added two maps (2, 4) that had originally appeared in Squad Leader and which did not include Chapter K (now appearing in the 2nd Edition ASLRB).